Just got it Not a review just wanted to share my first impressions with you guys. 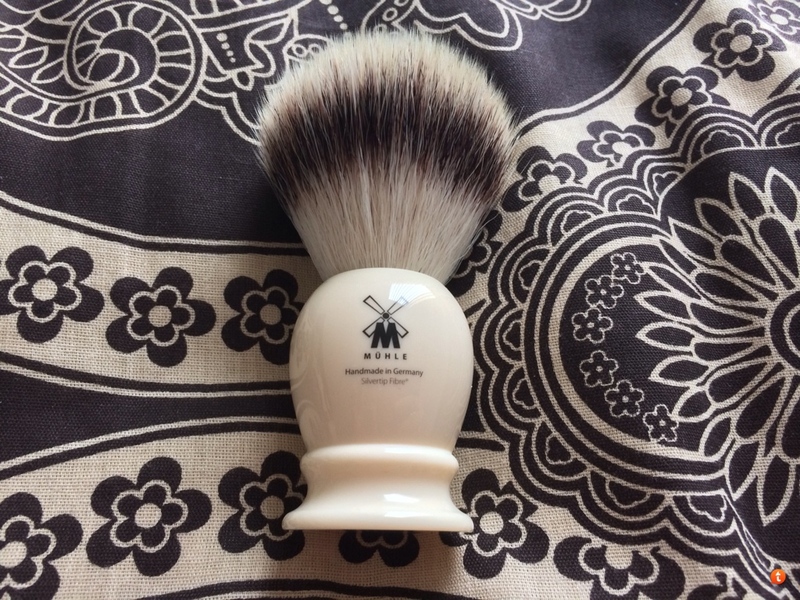 Price: At £35 it's more expensive than Pure Badger brushes, but less expensive than the Silvertip Badger version, also by Muhle. Presentation: Comes with a nice traveling or storage tube, that's very handy in preserving and storing the brush. Looks: I think it looks beautiful. The white ivory is very smart. The bristles are perfectly shaped just like in the catalogue. First impression: Just as smooth (if not more so) than a Silvertip Badger. Doesn't splay anywhere near any of my badgers, which I wish it did. But still great latherer, particularly for soaps. Retains a lot of water, which is a plus I guess. But it always felt dry although it could've carried a bucket of water inside. No wet feel. Guess that's just a trait of synths. Overall: I needed/wanted a synthetic brush for it's quick drying properties, to use with harder soaps (MWF) and sometimes psychologically surgical shave when not wanting or in the mood for animal hair on my skin that morning. In this regard, it's perfect. But wouldn't say it entirely replaces badgers, each have their joy. Lovely looking brush. If you are looking for more splay, then consider the Mühle Black Fibre brushes. 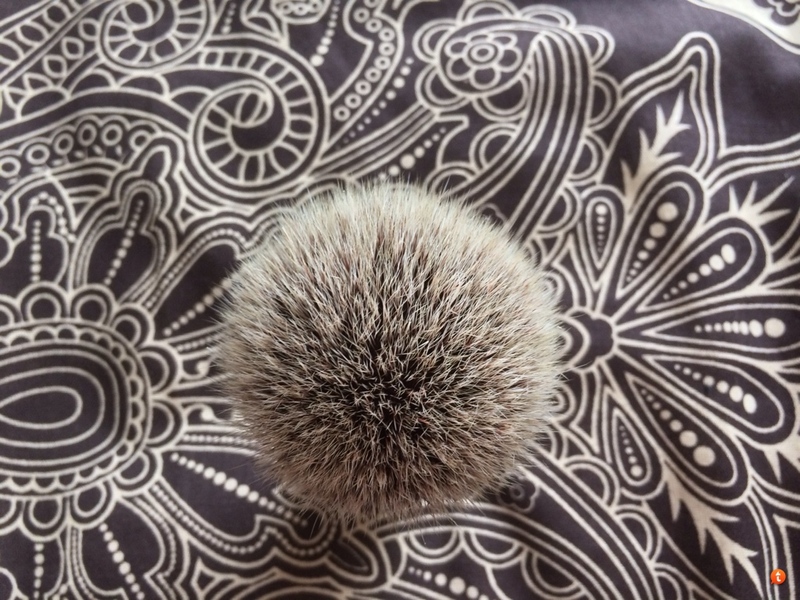 What is the knot size of your brush? Looks very nice. (04-02-2014, 09:59 AM)SharpSpine Wrote: Lovely looking brush. If you are looking for more splay, then consider the Mühle Black Fibre brushes. Thanks will keep this in mind. (04-02-2014, 10:19 AM)Johnny Wrote: What is the knot size of your brush? Looks very nice. STF's require a bit more pressure to splay, compared to badger/boar. Do not be afraid to apply some force; they're much more resilient than natural hair. They will "break-in" after a while and splay a little easier. My main two brushes are a Muhle and Edwin Jagger v1 STF (I don't particularly care for the v2) and I lather vigorously and splay them quite a bit..with over a year of shaves on them, they take all I dish out and ask for more. (04-02-2014, 10:30 AM)Arcadies Wrote: STF's require a bit more pressure to splay, compared to badger/boar. Do not be afraid to apply some force; they're much more resilient than natural hair. They will "break-in" after a while and splay a little easier. I wouldn't say they "break in" as other natural brushes do. The knots do loosen up somewhat but the performance will not change so significantly to make a huge difference compared to when you first get it. Yes, you must use a tiny bit of "pressure". All synthetics thrive on that. I have no idea what happens if one uses too much pressure. The nice thing is that they push back to let you know what you're doing. Try not wetting the brush (any synthetic). It doesn't need it or respond to soaking or even pre-wetting. You control the water, don't allow it to. They handle water much differently than a natural fiber brush. They are a magnet for water, than dump it at the first opportunity. It was one of the hardest habits for me to break myself of when first using synthetics. I'd pre-wet the brush out of habit, shake my head, then just dry it off, put it back in the cabinet, move to a different brush, and come back to it tomorrow. I'd absolutely love to try one a Muhle silvertip with a 28 x 54mm knot to see how it compares to the new Simpsons that I have. Having written that, I'm also glad they don't make one. I don't need anymore brushes! Congratulations on the new brush!